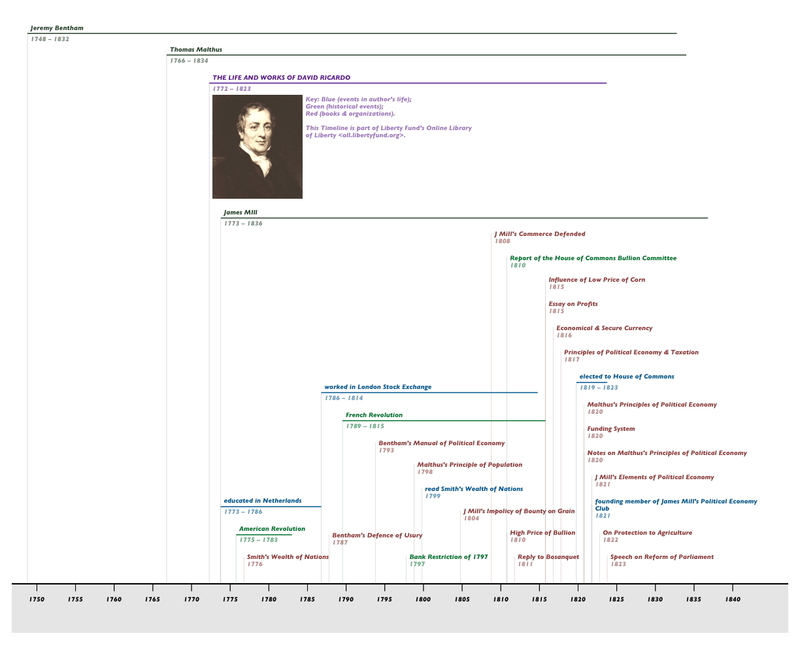 This timeline shows the life and work of one of the leading members of the classical school of economics David Ricardo (1772-1823). This timeline shows the life and work of one of the leading members of the classical school of economics. Ricardo was a very successful stockbroker before he discovered Adam Smith and then turned to writing on economics himself. The timeline also shows three of the greatest influences on his thinking: Jeremy Bentham, Thomas Malthus, and James Mill. The timeline is also available in a larger 1224 pixel wide JPEG image (442KB) and in PDF format (29KB).